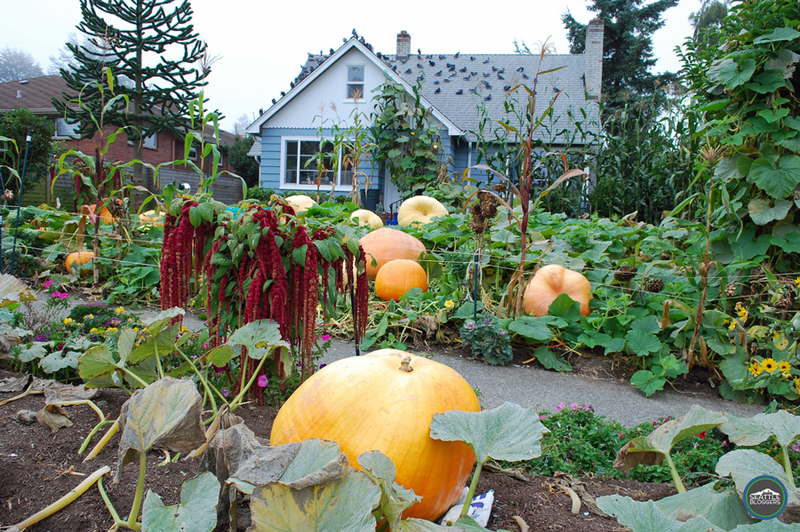 Did you know there’s a pumpkin patch in Seattle? No, I’m not talking about the surrounding area like Carnation, Monroe, or Kent. There’s an honest to goodness pumpkin patch right here in the city. You can find it in Magnolia. These aren’t typical pumpkins, either. The pumpkins at the Magnolia pumpkin patch are MASSIVE! We first heard about the Magnolia pumpkin patch on a news story. Naturally, we decided to check it out. You can find the pumpkin patch at 3707 29th Ave. W. (Map); right in the middle of a neighborhood. It’s impossible to miss. 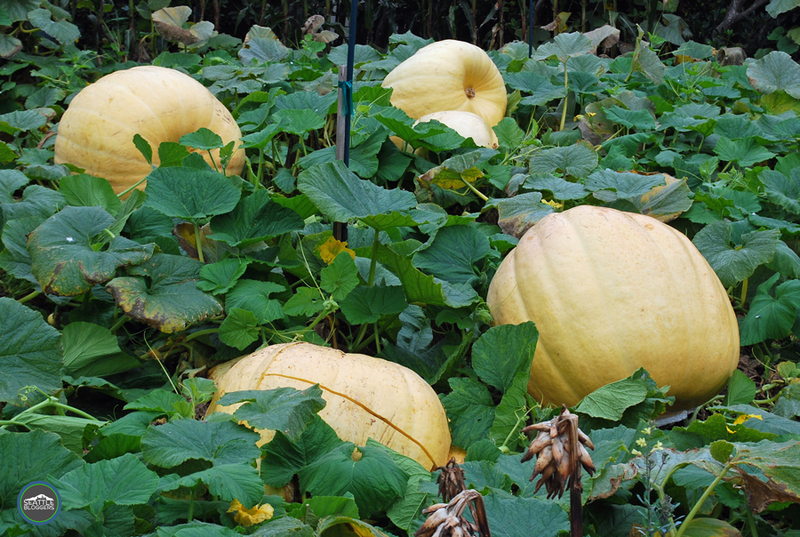 The front yard is loaded with huge pumpkins, sky-high corn stalks, and much more. The man behind the Magnolia pumpkin patch is Greg Shaw (aka “The Pumpkin Man”). He grew his first pumpkin in 1970, and he’s grown pumpkins off and on in different parts of Magnolia since then. He’s produced pumpkins in the current location since 2008. People are encouraged to swing by and see the pumpkins anytime for free. There’s even a light in the front yard so you can see the gourds at night. Like I mentioned before, the pumpkins at the Magnolia pumpkin patch are HUGE. They’re so big, Shaw has even entered them in competitions in the past. The largest pumpkin he’s ever had weighed 500 pounds. I’d venture to guess the average pumpkin on his property is hundreds of pounds, and there are many of them. Unfortunately, the Magnolia pumpkin patch isn’t the place to go if you want to take a pumpkin home. These pumpkins are on display only. 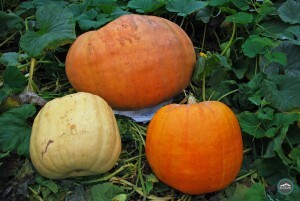 Shaw doesn’t sell them, because he wants everyone to enjoy the pumpkins all in one place on his property. Since they’re hybrids grown for size, there isn’t much taste to them anyway. They would make a killer Jack O’ Lantern, though. If you’re looking for a place to get in the Halloween spirit, swing by the Magnolia pumpkin patch. Sure, you can’t take a pumpkin home, but they’re really fun to look at — and it’s FREE. 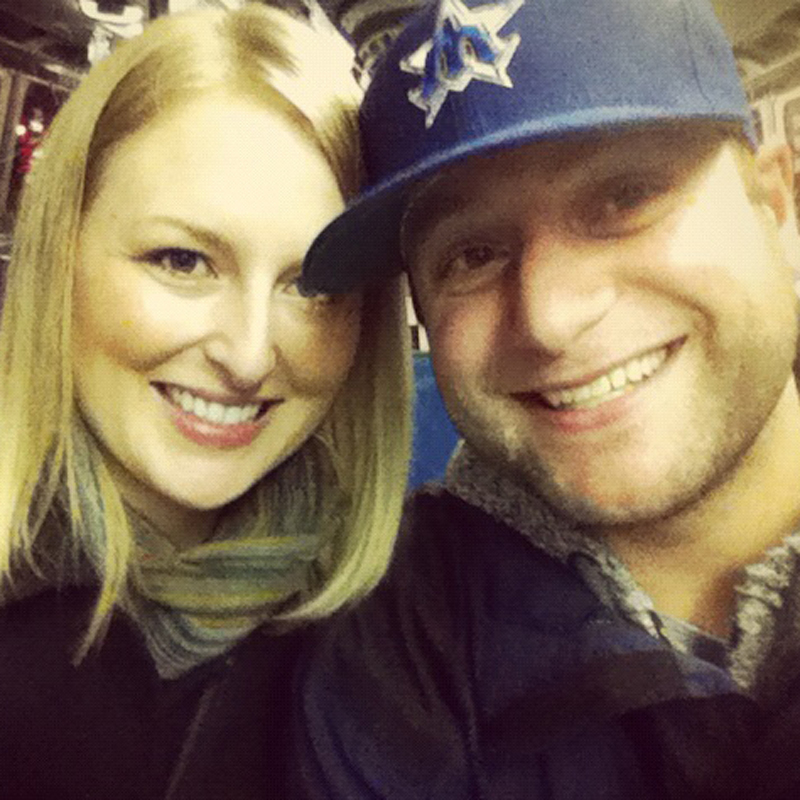 Plus, it’s unlike anything else you’ll see in Seattle this time of year. Have you ever visited the Magnolia pumpkin patch? We’d love to hear all about it! Please leave a comment below or connect with us on Twitter, Facebook, and Google+. Don’t forget to also check out Seattle Bloggers for more great places to experience around the Emerald City in October (or anytime of year)! You can also click here to learn more about Shaw and his pumpkin patch. 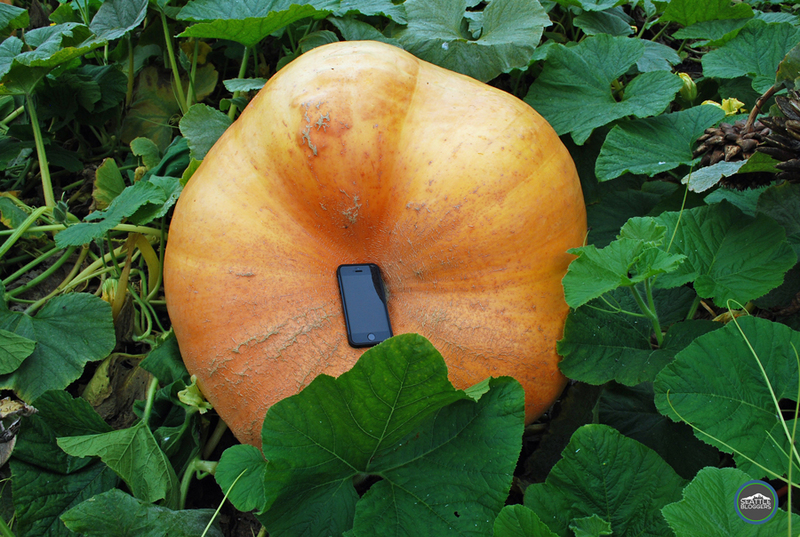 I put my cell phone on this pumpkin to help show how big it is. It’s not even close to being the largest one there! How long have you lived in the Magnolia area? Did you go to elementary school in Magnolia?